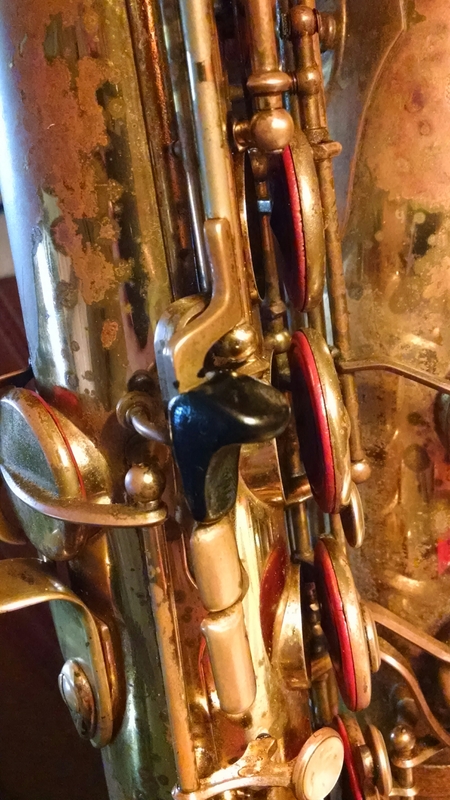 Back when I dropped off my tenor, I pointed out issues with both of the thumbs. 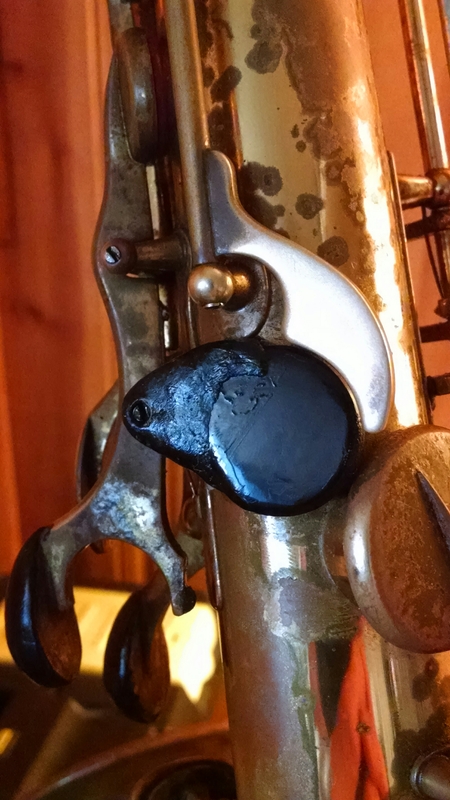 The lower thumb rest was a hard plastic hook that was too sharp curve for my finger. He showed me then the replacement. He would use. Here it is installed. It is much smoother. 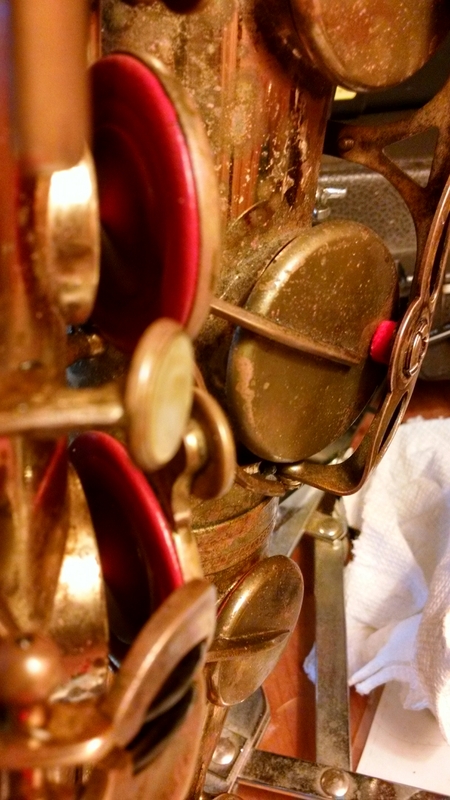 I love the feel of the brass and the wider contact platform. This is one benefit of working with someone with such long experience; he has older replacement parts hoarded, some of which are quite unique. He kept my old thumb piece in case someone else needed it in the future. 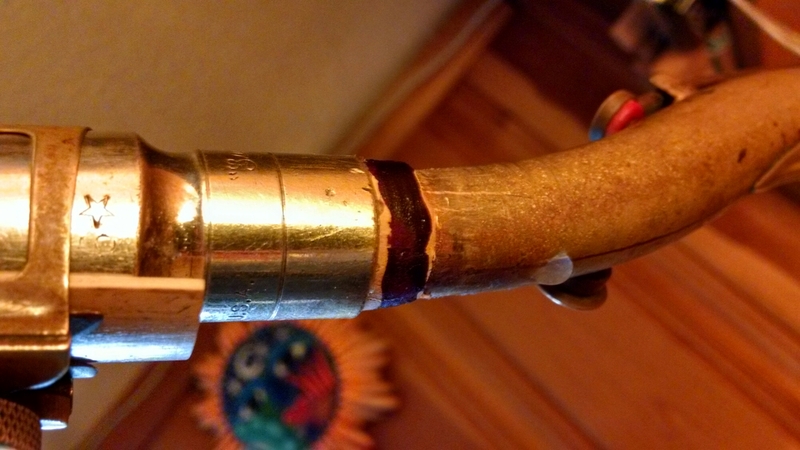 The other thumb rests very near the access hole to one of the rods. I always found it irritating to my thumb. Here in what he added to make it comfortable. The black disk was the original. He added the triangular shaped piece to the left. Note how he still made the screw for the rod accessible. Left hand key adjustments. Compared to a stock setup, this makes the notes much easier and faster to play. All new pads. Coverage is fantastic. Low notes come out as cleanly as I’ve ever got them to sound. Here are the replacements for the corks that prevent metal on metal during the key movements. He replaced all the corks with rubber. Emilio is very materials focused, and was looking for an improvement to cork for a long time. He found in the little nubs that come on the bottom side of a carpet. They are almost silent when tapped on the horn body. Neck cork. Very precise for my mouthpiece. Tightened the neck. You can’t see from the pictures, but I can feel it. 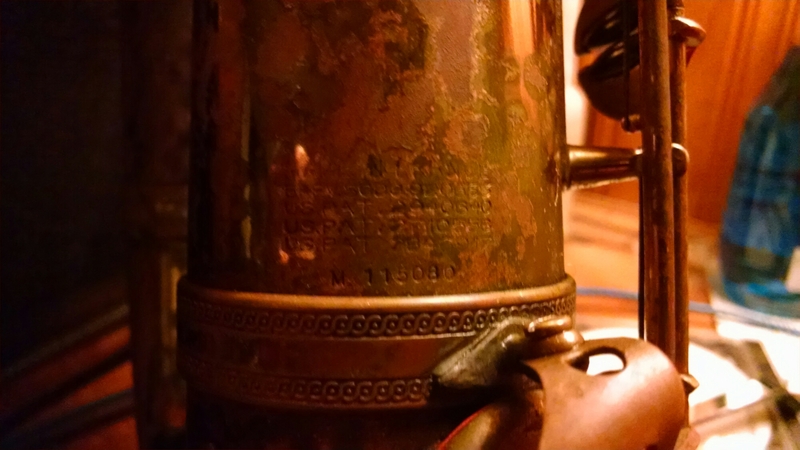 Serial number for recorded posterity. He replaced pretty much everything designed to be replaced except for the springs, those are still the original. 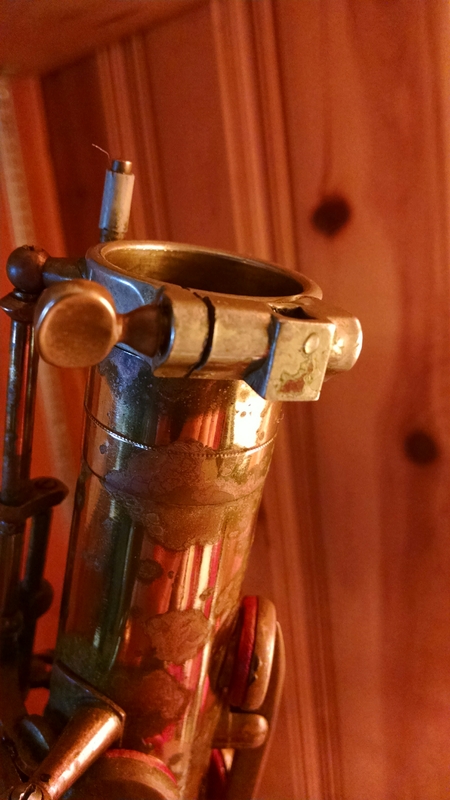 This entry was posted in Music, Saxophone by Adam Young. Bookmark the permalink. Thanks for these wonderful photos and descriptions, including your previous drop-off post. 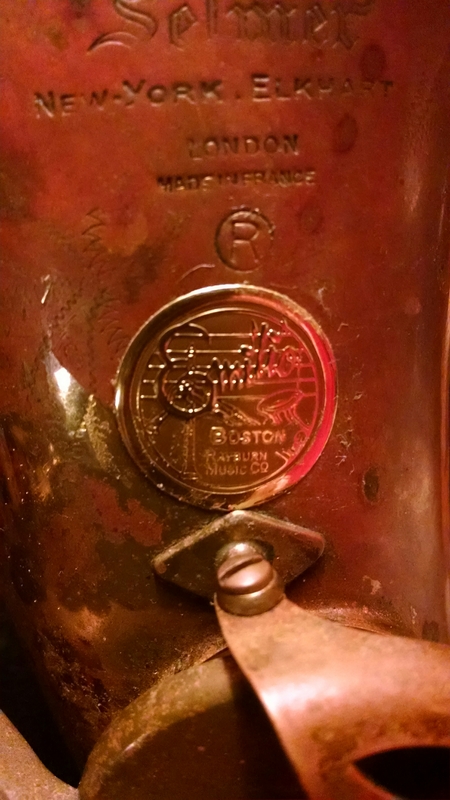 I’ve had similar experiences with my tuba, which was about 30 years old when I got it, was never lacquered, and has also seen several customizations. 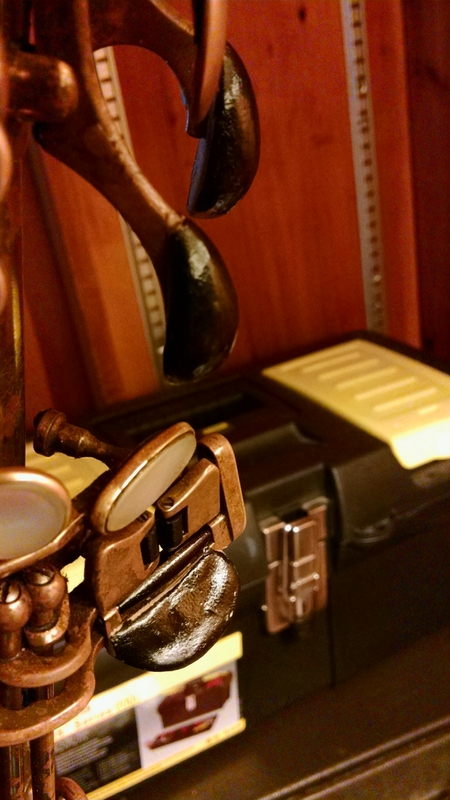 It’s always striking how close-up shots on this type of instrument show a very human interaction, while seeing the full instrument reveals the beautiful complexity of decades of musical service. I know that sounds pretty effusive, but I’m sure you know what I mean. Shiny horns are overrated! Thanks for the post Adam! 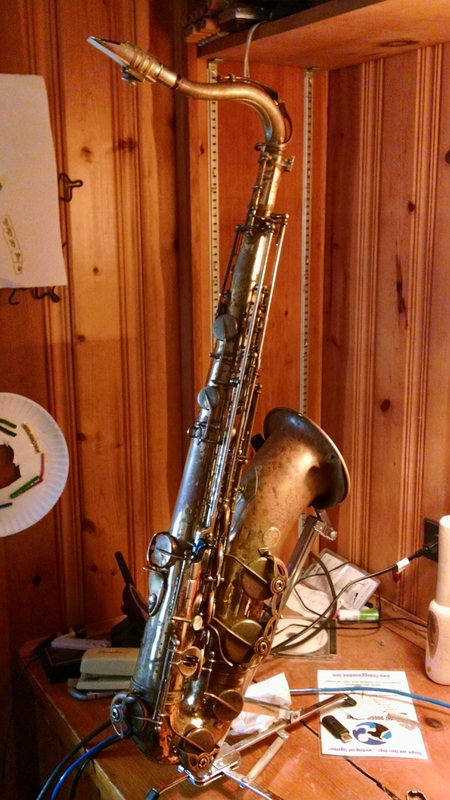 My Selmer alto sax, serial 81xxx, hasn’t been overhauled in about ten years and I’m considering having Emilio customize it and make play better. I recently stopped by Lexington, MA to say hello and he was extremely helpful and generous. I’d say it was well worth it. 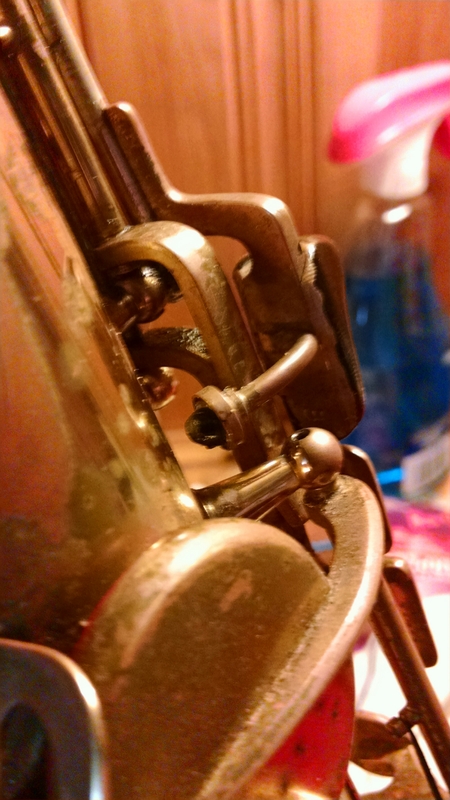 I’ve enjoyed playing so much more since the horn was overhauled. 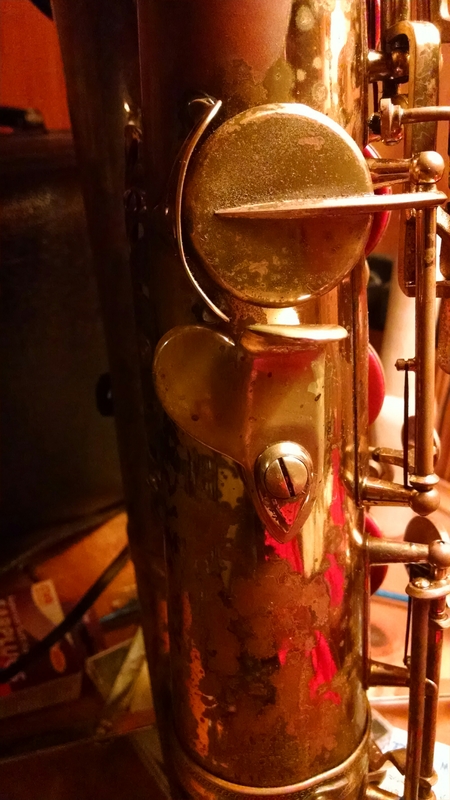 It is probably time for a tune up.